I know an inordinate amount of people who like buying Starbucks mugs and I always wonder what they end up doing with the mugs. Are they used? Are they collected? Where do you find the space for them? Regardless, I find myself wanting to jump on the bandwagon what with the launch of Starbuck's first designer collaboration across China & Asia-Pacific whereby Alice + Olivia has joint forces with the brand to bring us a double wall ceramic mug. 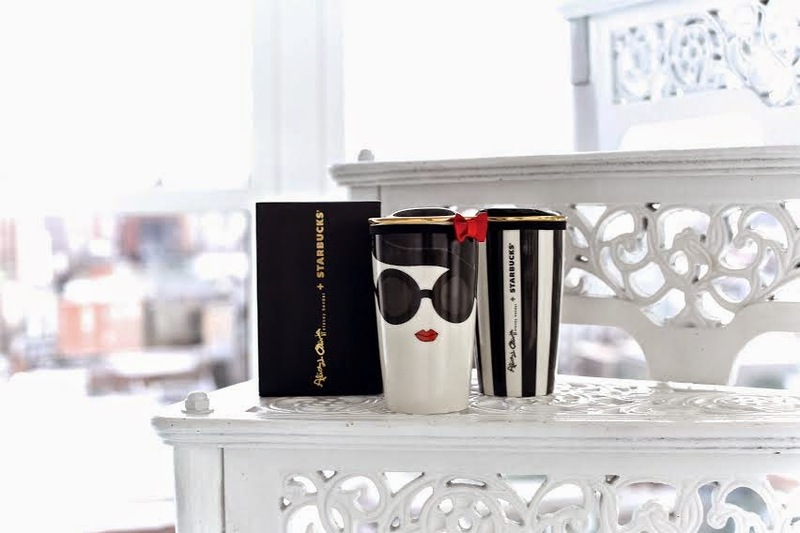 The limited edition mug is available instore in Hong Kong and Macau from now until Feb 24th and is priced at HK$230.